Your gutters actually play a huge role in the structural integrity of your house, and keeping them clean is a great way to avoid the potentially costly expense of gutter repairs. Gutters have one job: to guide rainwater off your roof and straight down the drain and away from your house. Despite their importance, it can be all too easy to forget about them until something goes wrong. 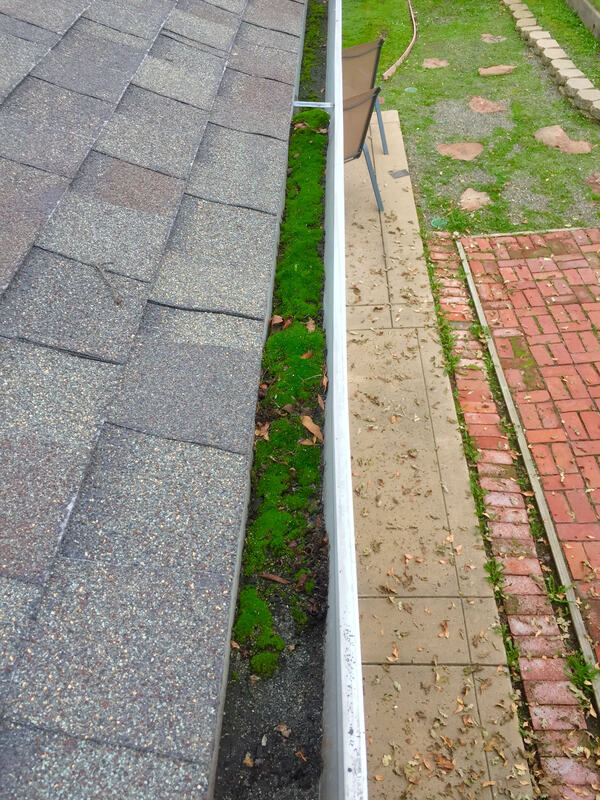 If your gutters become clogged or broken, the results can be serious: not only could you end up with structural damage that costs a fortune to repair, the resulting dampness can cause health issues for you and your family. Whether you have cast iron, plastic, or pressed steel gutters, they need to be cleaned annually in order to keep them performing properly, and to avoid the need for gutter repairs in the future. Knowing when to clean your gutters along with your roof is essential in maintaining good health and safety. It is recommended that you get your roof and gutters cleaned at least once a year. However, twice a year may be the best option if you live near trees that drop debris throughout the season. The best time to do this is at the end of autumn/beginning of winter after the autumn leaves have fallen and before the really rainy weather kicks in, which is typically between November and April in the San Francisco Bay Area. This will reduce your chances of experiencing blocked guttering later on in the year, and gives you plenty of time to book in those vital gutter repairs before it gets too wet and windy. It is also a good idea to do a quick check of your roof and gutters in the spring. Make sure that any large pieces of debris that have blown in over the winter are removed, and check that all of the screws are tight and that no brackets are loose. Gutters and roofs can be damaged by heavy rainfall and high winds, so it is also wise to ensure everything is in order after a spell of particularly bad weather. Also, clean clogged gutters after big storms and check for debris in the gutters and on the roof. For instance, earlier this year, El Niño related storms caused strong winds and rainfall to hit the San Francisco Bay Area. Clogs often occur where downspouts join the gutter system — check these areas closely. A clogged downspout makes it hard for the rain to go down and that causes clogs to back up and overflow the gutter, which can damage to your home. You can judge how often to clean your gutters based on how often leaves in your area fall and the types of leaves. For example, in Bay Area cities with a lot of foliage like Oakland, Orinda, San Rafael, and Berkeley, fallen leaves can build up and cause blockages in gutters, so they would need to be cleaned out more frequently. 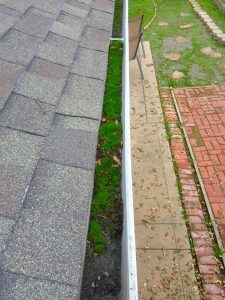 If you are looking to have your gutter cleaned, A-1 The Clear Choice can help you. We are a San Francisco Bay Area based company that specializes in cleaning gutters and other cleaning services for your home. We serve residents located in Alameda, Marin and Contra Costa. Give us a call today at 510-914-5214 and request a free estimate!